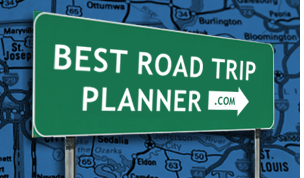 North Carolina (NC) is laced with some of the greatest scenic byways in America. The state offers a great diversity of beautiful sights and inspiring scenery to enjoy right from the seat of your car. In the west lies the spectacular Blue Ridge Parkway, one of the most famous scenic drives in the North Carolina mountains. The drive extends 469 miles through the southern Appalachian Mountains as it guides you to the stunning mountain vistas, sparkling waterfalls and a number of cultural and recreational places. Cherohala Skyway is another great drive to enjoy. It features the cultural heritage of the Cherokee tribe and abounds with great hiking sites and picnic spots. The wide range of things to do and sites to see makes North Carolina an ideal road trip destination for every kind of traveler. The route starts in Franklin, NC and ends in Highlands, NC. There's nothing in between except breathtaking scenery and some fun curves!